Does PES 2018 hit the back of the net? 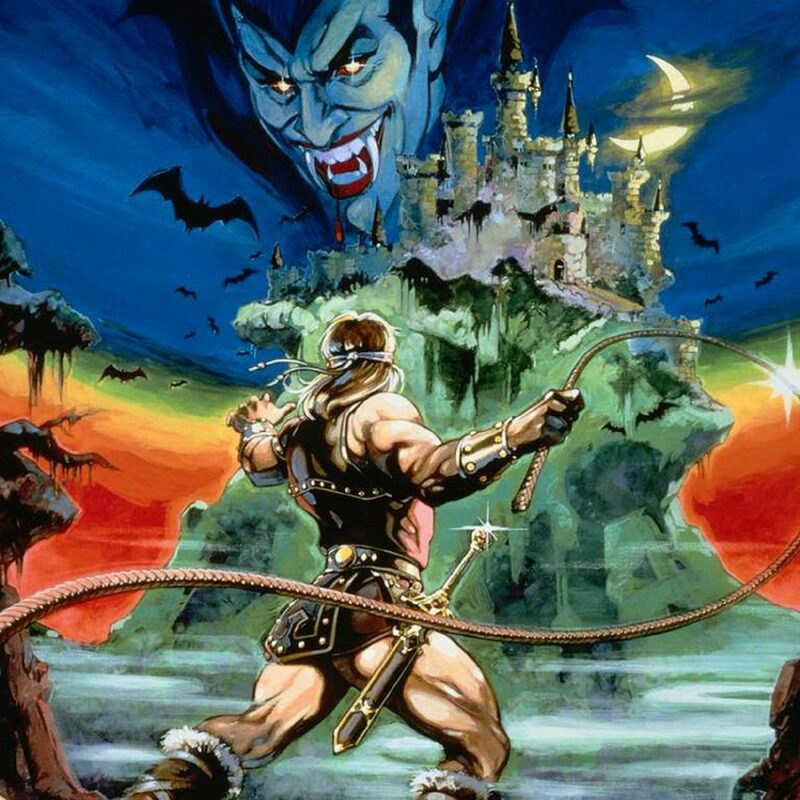 Aside from a few exceptions, it’s only really sports games that are tied into annual sequels. While small amendments are constantly being made, generally speaking, soccer is played in the same way now as it has been for decades. Discounting the occasional mash-up in formulas (who remembers Red Card Soccer? ), the role of most soccer titles is to simulate the beautiful game as closely as possible. Ever since their inceptions in the early days, the EA published behemoth of FIFA has been pitted against Konami’s PES (or ISS if you’ve got a good memory). Maybe it’s down to incredibly quick turnaround between titles, but it’s fascinating that you could probably take reviews of Pro Evolution Soccer 3 and Fifa 2004 and most of the criticisms would still be applicable now. This isn’t to say that there hasn’t been a huge amount of progress in how these games represent soccer, both on and off the field. Indeed, particularly in the case of FIFA, the real life tie-ins and marketing firepower position it not just as a licensed game, but a combined part of mainstream soccer culture. There is an interesting metatextual thing going on with the relentless commercialism of actual soccer, that FIFA is complicit in. But hey, that’s a rabbit hole that we don’t wanna fall down, so let’s back up a bit and talk about Pro Evolution Soccer 2018. The reason I keep talking about FIFA is that, for better or worse, the two comparisons will always exist and the marketing strength of FIFA only serves to expose PES 2018’s greatest weakness. Soccer isn’t just about what happens over the course of 90 minutes. It’s about sponsorship, agents, transfer sagas, bust-ups and the emergent narrative formed through punditry and analysis. These are the elements that FIFA has begun to double down on. PES 2018, on the other hand, feels trapped in the PS2 era. Every year the menu layouts change color or get consolidated to make them neater, but shifting around UI elements isn’t going to fix PES 2018’s presentation problems. The commentary is embarrassing. There has been a fundamental problem with PES’s commentary since its birth. Where older titles had the excuse of employing C-level pundits like Trevor Brooking (who I can’t recall providing live punditry in real life), more recent titles have had established voices like Peter Drury and Jim Beglin. The problem is clearly on a script level. For most people, commentary really isn’t that big of a deal. It becomes ambient noise over the outbursts of joy and rage that accompany soccer games anyway. However, the commentary actually functions as a nice little metaphor for where the PES series continues to falter – authenticity. You can justifiably argue that PES simply doesn’t have the budget or influence to acquire big licenses. However, this doesn’t excuse the fact that in Master League (the solo/co-op career mode), I can buy Julian Draxler for Everton for £20mil (a player who in reality would command close to triple that). Another example of immersion breaking came when a message popped up in my career mode (paraphrasing here): “Timo Werner is scoring so many goals that the fans have taken to nicknaming him ‘Cobra’.” So now, every time a little randomly generated news story about Werner pops up, I’m reminded of a 80s Stallone movie. Isn’t this game a simulation? In what dimension would Evertonians nickname a player Cobra? Where previously I’ve cut the series slack or even been positive about it’s quirkiness, it’s now a point of frustration that the series is unable, or unwilling to iron out this kind of silliness. If it sounds like I’m being harsh towards PES, it’s because it’s really good and I want to push it. Because, while all the elements discussed are undoubtedly important, in the most crucial area of the pitch (no one has ever made a pitch pun when reviewing a soccer game), PES 2018 shines. To my mind, in terms of gameplay, this is the best soccer game ever made. The animations, responsiveness, pace and general ‘feel’ are just so damn well realised here. 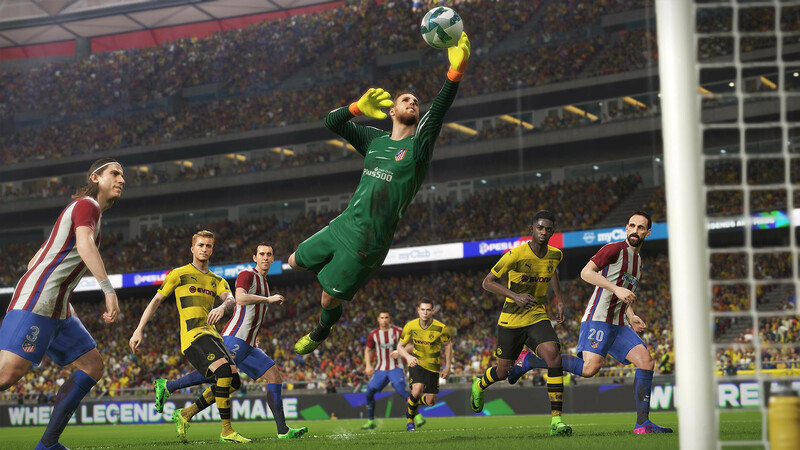 PES 2017 built on the solid work of its predecessor by fixing the goalkeepers and making it harder to score. PES 2018’s strongest change is in the automatic responses of players that work wonders in making every moment feel unique. I’ve spent close to 30 hours with PES 2018 and I’m still constantly replaying tiny moments, like how certain flair players will disguise passes or control overhit passes. With these animations and a looser feeling ball that’s easier to misplace, every kind of goal feels possible. I was able to effectively play any kind of system (assuming I had the right personnel). The result of this is that even with this much time spent with the game, I don’t feel like I’m seeking out a way to exploit it with a particular playstyle (you can actually win without stacking your team with pacey players). 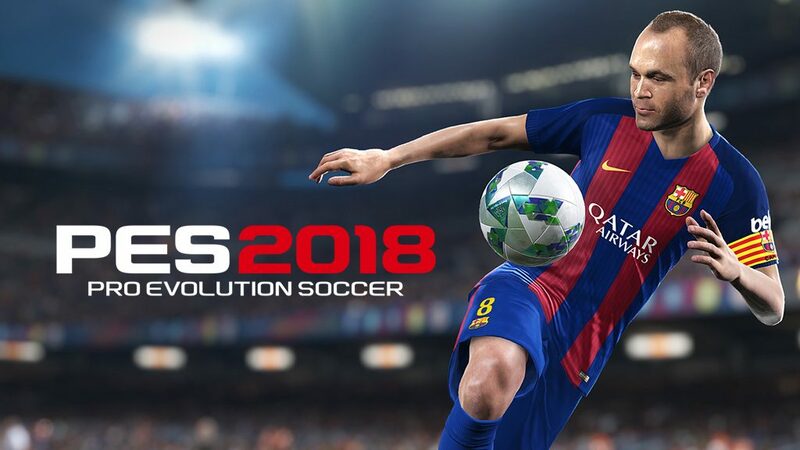 PES 2018 offers an alternative to the wildly popular Ultimate Team of FIFA – myClub. Just as with UT, myClub has you assembling a squad of players through random loot drops. You then mix-and-match, trade and cash in on your players or scouts. There are a ton of needlessly complicated systems in place that aren’t really explained, but functionally there isn’t much difference between the two. Of particular annoyance in myClub was the sheer number of games that I was forced to play against the AI on easy difficulties (the game pits you against AI when human players are unavailable). I understand why PES 2018 needs to have a mode like UT (the potential for microtransactions), but perhaps a better move would be to offer an alternative altogether. I’ve been playing PES 2018 on PC and, from a technical perspective, I’m happy to report that it looks and runs great. Previous PC versions have featured a hybrid of previous and current-gen versions. This time around, PC gamers get to hoist up the resolution to 4K and load times are almost instant (I’ve been playing on a modest, mid range rig). For me, the priority of a sports simulator (and any other game, in fact), is always gameplay. On the pitch, I struggle to think of anything I’d amend. 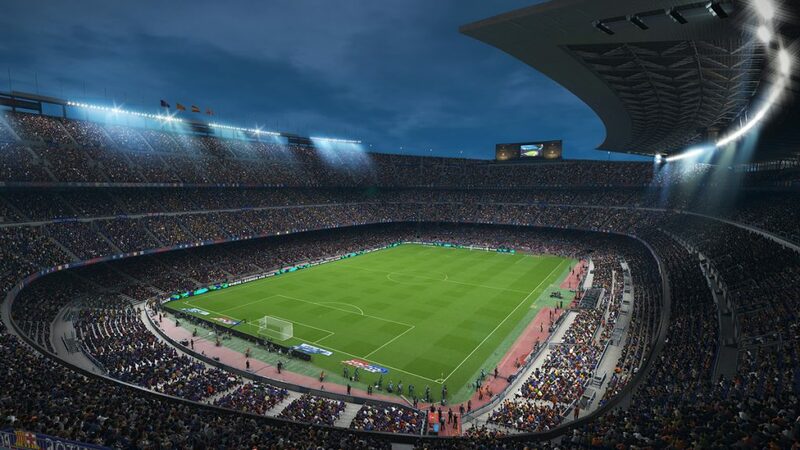 PES 2018 is a ton of fun to play, and I have no doubt I’ll be playing it right up to the release of PES 2019. 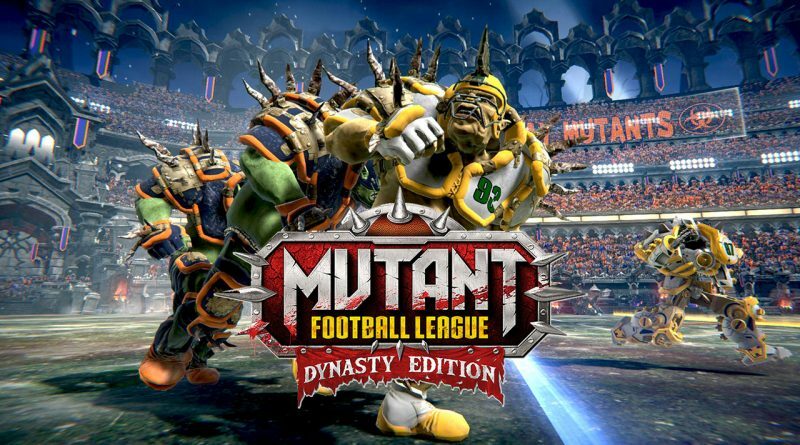 However, with the gameplay sorted, it is absolutely crucial that the next game completely overhaul its presentation and expand on Master League, a great mode that is starting to look creaky. The ball is in your court, Konami (soccer doesn’t even have courts, I’m so sorry). Full disclosure: This review was based on a review copy of PES 2018 purchased by Hey Poor Player.